A black nurse who fought against racism in the NHS after being told she could not care for a white child following a complaint by the child’s mother has lost her battle with ovarian cancer. Sixty-four year-old Rosie Purves worked at Southampton General Hospital for over 30 years and was awarded a Daily Echo-backed Local Hero award in 2002, after families called for her dedication and care of sick children to be recognised. It was in 2004 when her case against health bosses at Southampton University Hospitals came to light in the media. Rosie took the health bosses to a tribunal after she was prevented from looking after a white child with cystic fibrosis following a complaint by the child’s mother who said that did not want a black person looking after her child. The mother left Rosie racist messages and subjected her to racial abuse for over seven years but instead of challenging the mother’s racist behaviour hospital bosses moved Rosie to different wards away from the child. Sadly, Rosie lost her battle to ovarian cancer today. A service in her memory will be held at 7pm tonight at St Vincent De Paul Church, Aldermoor Close, Southampton and her family plans to fly her body home to Trinidad where she was born. Courageous and dedicated health staff like Rosie Purves have been the backbone of Britain’s NHS for years and without them the general health of the country would be much worse. It is an outrage that the media in this country often run degrading stories of foreign nurses who have the decency to look after the same racists who insult them in hospitals and retirement homes. Without nurses like Rosie Purves, and the thousands of foreign doctors and nurses who provide vital care for people in Britain there would not be a health care system as we know it today. Rosie was a true champion of racial justice and equality and her fight against racism in the NHS must continue. 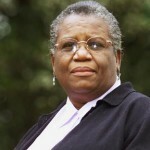 Her death brings back memories of another black NHS hero who has died, Milton Hanson, who was sacked from his job for exposing the racist degrading practices on black people at a sexual health clinic in South London in 2003 after 35 years of service. Hanson could no longer stand by and witness the racial and physical abuse of black patients at the Caldecot sexual health clinic where he worked. After his pleas to NHS bosses were overlooked and ignored an extremely concerned Hanson turned to community radio station Power Jam, where he spoke about what he witnessed to radio presenter, Kwaku Bonsu. Hanson’s accounts were supported by other staff who recalled racially derogatory comments being made towards black patients openly by European staff. Hanson was fired by the King’s College NHS Trust for whistle-blowing in 2003 and after facing a disciplinary hearing by the Nursing and Midwifery Council he was struck off the nursing register permanently. He would never be allowed to work in the NHS ever again. This devastating blow to Hanson’s thirty-five year career was carried out by top black NHS executive Michael Parker. The fact that Hanson could not work in the profession he loved broke him. In 2005 he returned to Jamaica to look after his mother and continued to expose the racism he had witnessed on Irie Fm where he broke down in tears. The local community was so moved and outraged that they picketed the British High Commission on his behalf. 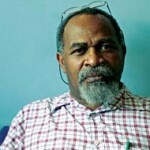 On the same day however, Hanson suffered from a stroke at his home in Priestman’s River in Portland and was taken to the Port Antonio Hospital. He died on November 5 2005, age 57. Hanson and Rosie are the black heroes of the NHS for daring to stand up to the racism they experienced. While Rosie was successful, Hanson’s disturbing case was perhaps too much for the bosses of the NHS to admit to. In the end his concern for the black community in Britain cost him his life. What goes on unreported in the NHS today regarding racism we may never know. Too many black and minority ethnic nurses and doctors will be well aware that exposing racism can cost them their career. Despite this, we need campaigning individuals like Rosie and Hanson and like Hanson’s local community in Jamaica we need to picket and protest to show our support when individuals are brave enough to come forward. This entry was posted in National News and tagged King's College NHS Trust, Milton Hanson, Nursing and Midwifery Council, Rosie Purves, Southampton General Hospital, Southampton University Hospitals, black nurse, racism in the NHS. Bookmark the permalink. Greetings, I just want to thank the team at Minority Perspective for remembering our Ancestors in this way. So many people do not realise the many sacrifices made by our elders whom British society now inhumanely regard to as ‘non eu-immigrants’. Elders Rosie Purves and Milton Hanson are true role models, I will be teaching my children their names. Our family were in Southampton Hospital for 3 Months with my daughter and had the pleasure of knowing Rosie. She was a “light” and inspiration to all who met her. This lady was taken far to early but she will live on in the minds of those she cared for. Rosie, it was our pleasure to know you. God Bless. I study Health and social care in OU. In our material, I read her story. As a black or minority person it is hard to stand in white society, but she did and fought against the unfairness of it. Well done Rosie and RIP. I have known Rosie Purves as a personal friend for over 18 years and she made no distinction between black and white children. In her professional career she treated all the children that she cared for with dignity and respect. Rosie was one special person who was an inspiration to all of us who knew her as she brought the values of the Gospel (Good News) alive to all whom she touched. Rosie’s experience of racism was “soul destroying” but she eventually had the courage to speak out and she would ask all victims of racism. Please do not suffer in silence. Share your experience with like minded people who understand the negative impact of racism and seek appropriate support. Rosie is sorely missed by everyone who knew her but the fight against racism goes on. I have experienced racism as a nurse in the NHS. It has affected my health, my family life and my personal and professsional growth and development. It is only by confronting it and accepting that it exists will we be in a position to actually tackle it. We must tackle it to make our society a better place. We must unite and join hands, and create positive forums to address the evils of racism. I salute Rosie and Hanson who stood up, I am behind you all the way! When I was two years old, I went up to London to have major surgery on my eyes. Years later, my parents told me that I was cared for by a Caribbean nurse who doted on me and I, in return, adored her. Years later, I wish I could remember that nurse but it still fills my heart with warmth to know that there are nurses out there who care for their patients so. Indeed, I experienced it again. When another nurse, just walking out the door after her long shift had finished, gave me a hug as she knew my father had died that day. Things like that stay with you. They mean the world to you. By all accounts, Rosie was such a nurse and I am glad to have read about her story, her dedication and courage. The lesson for me is not just about overcoming racism but it is about standing up for people who are being abused. This is what her hospital did not do, and it was shameful. I am sad to hear that Rosie has passed away. I hope her story, and her courage, continues to give hope and strength to those suffering racism and to those who choose to make a stand against intolerance. Hopefully she’ll not get in any trouble…It wasn’t nice but I have got used to hearing comments about my nationality…. I work for the NHS and racism is still going on ….am facing it every day I go in to work……from management …staff…..that’s why am off sick right now…..HR does nothing about it…..if you complain they move you from one team to another….then it starts all over again….. I unfortunately used the nhs last year and the racism was right there. I was in a&e getting changed and the filthy nurse opened the curtain while I was getting changed twice. Rather than get angry I pulled my boxer shorts down and gave them a view of my backside. This was in kings college camber well. Be warned. My mother worked in the NHS for almost 30 years. She is Irish and experienced shocking racism as a nurse at the hands of people within the NHS officialdom. My mother is now in her 80s and has again experienced racism as a patient. I should also like to mention that it was the West Indians and Irish who largely staffed the NHS for 4 decades. These days one finds many people from the Philippines doing the jobs Irish and West Indian people used to do. Many of the Filippinos are employed via agencies on minimum wage and exploited in various ways. One also finds hospitals in the south of England employing many agency staff thus giving up the rights enjoyed by contracted staff such as pensions, sick pay and holiday pay. I work in the NHS at present and am facing discrimination at the hands of a senior member of staff who I reported for not following recruitment policy fairly. I am constantly required to prove myself and the goalposts are never the same for my white peers. Rosie’s story has inspired me and I will never give up the fight for fair treatment for all. I will continue to expose those behaviours which are unacceptable and unlawful. The NHS is not a family business where managers can “handpick their exclusive team” the ones who are like them or the ones who will do what they are told so they can climb the ladder. It is sad that people are allowed to bully in this way. I am a Black nurse who went into nursing following all the female family members who were nurses. Starting in 1975 I was so proud to start my nursing training and went to get to a senior sisters position. However, sadly I too experienced racism in almost every hospital I worked in until I retired in November 2015. And the saddest thing is I feel that racism is getting worse. I remember on one particular occassion as I was a theatre nurse, the senior nursing sister made monkey/ape actions at me when she asked me a question To which I reported to the manager. Whilst the manager was understanding and seemed to care,there was no apology from the individual. She just continued nasty comments to me all the time as I dared to report her. She left to go on to a senior post. However other nationals such as nurses from the Philippines ( not all) also now feel it is okay to be extremely discriminatory and rude towards black nurses in full view of senior white staff /patients and others for years at my last NHS hospital. But managers somehow seem blind or frightened and this is just one of the reason along with blackmail/deformation of my character that I retired when I did. I have a wealth of experience and knowledge but left feeling sad, hurt and humiliated for all the years of service given by black nurses to the NHS that has allowed this open practice that is still be so rife to continue unchecked today.